The Kenty property is currently under dispute. This property is located within the Swayze Greenstone Belt of northern Ontario. 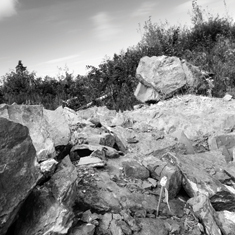 The Property is central to Iamgold’s Cote Lake Deposit at 8,700,000 ounces Au (indicated and inferred) to the East and Probe Mines’ Borden Lake Deposit at 4,300,000 ounces Au (indicated and inferred) to the West. The geology consists of an intercalated sequence of archean metavolcanics, metasediments and felsic intrusions that host numerous significant gold deposits. 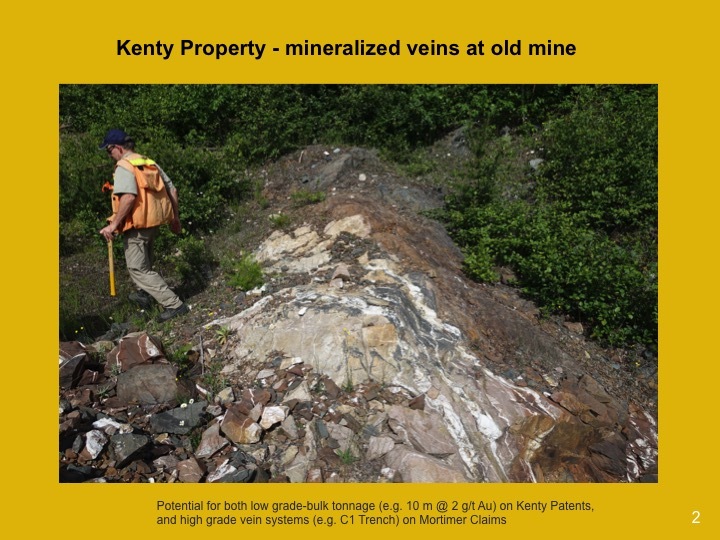 To date, 21 distinct gold bearing quartz-carbonate primary veins have been identified at the Kenty Gold Mine section of the Property alone, of which only 8 have ever been mined. The veins are either simple or stockwork veins that average 1 to 1.5 meters in width. Historical reports indicate that gold occurs in the veins as coarse grains erratically concentrated in high grade pods. Certificates of assay from the Ontario Department of Mines in 1946 on vein material ranged from 0.40 to 117.70 ounces per ton gold. Historical work at the Property dates back to 1930 when the Kenty brothers first discovered gold there. Two 500-foot plus shafts were sunk on the Property followed by extensive drifting, crosscutting, raising, drilling and operation of a 5-Ton stamp mill in the mid to late 1930’s. The delineation of high grade vein mineralization has been the primary focus for historical exploration work at the Property. 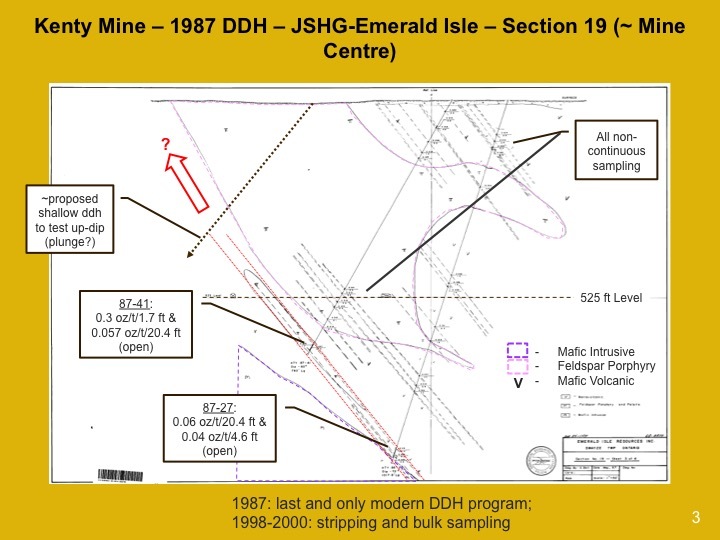 A review of historical sampling records by JGRI management has determined that wall rock alteration halos surrounding high grade veins are host to gold mineralization. Consequently the actual widths of gold mineralization at the Property could be much broader than historical exploration reports have indicated. Moving forward, the development of bulk tonnage gold reserves at the Property will be a key exploration focus for JGRI management. The Company has recently confirmed mineralization within secondary veins, never before considered for gold bearing value, up to 5.41 grams per tonne Au from grab samples. This website contains forward-looking statements within the meaning of the Private Securities Litigation Reform Act of 1995 (The "Act"). In particular, when used in the website, the words “project”, “plan”, “confident that”, “believe”, “expect”, “anticipates”, “may”, “will likely result” or "intend to" and similar conditional expressions are intended to identify forward-looking statements within the meaning of the Act and are subject to the safe harbor created by the Act. Such statements are subject to certain risks and uncertainties and actual results could differ materially from those expressed in any of the forward-looking statements. Such risks and uncertainties include, but are not limited to, market conditions, competitive factors, the ability to successfully complete additional financings and other risks described in the company's SEC reports and filings.